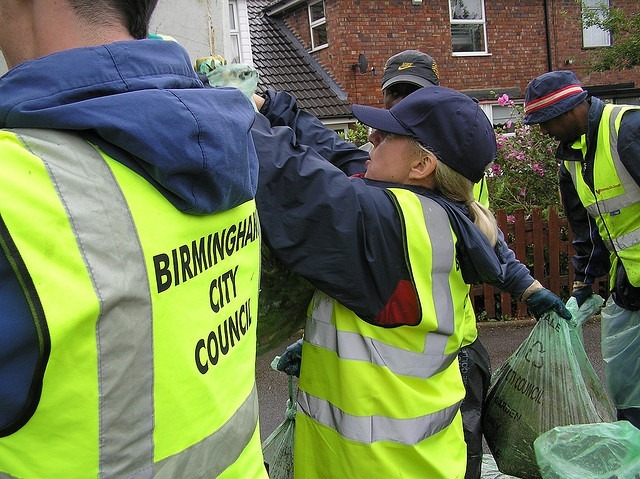 A six-month consultation on Birmingham City Council’s plans to introduce wheelie bins for refuse collection was launched today (February 25). A full consultation process was, promised last year by the council after it won £29.8million from the Government to preserve weekly rubbish collections. An online consultation for all residents has kicked-off the process, with paper-based copies of the document being made available in the near future at all 40 city council libraries and 21 customer service centres/neighbourhood offices for those who are unable to use computers. The feedback gained from all of these channels will be used to shape the final scheme, which will see the current system of sacks and boxes eventually replaced by two wheeled bins for every household, with an optional third for green waste. There will be exemptions where wheelie bins are not appropriate. Cllr James McKay, Cabinet Member for a Green, Safe and Smart City, said: “This is another step towards putting our recycling and rubbish collection services on a sound financial footing. “We have been clear from the outset that we will listen to citizens as we shape the finer points of the scheme – and we have also been clear that this process is not about if we have wheelie bins, it’s about getting the best wheelie bin scheme for Birmingham.